If you're like most people, buying a home is the biggest investment you'll ever make. Annual mortgage, taxes and insurance costs can range from 25% to 40% of your gross annual income. By visiting this reference page, you're on your way to protecting yourself, and making the home-buying process easier by becoming an informed consumer. Read, talk to family, friends and real estate professionals. You'll be glad you took the time to understand the process. Looking for a home without being pre-approved. Pre-approval and pre-qualification are two different things. 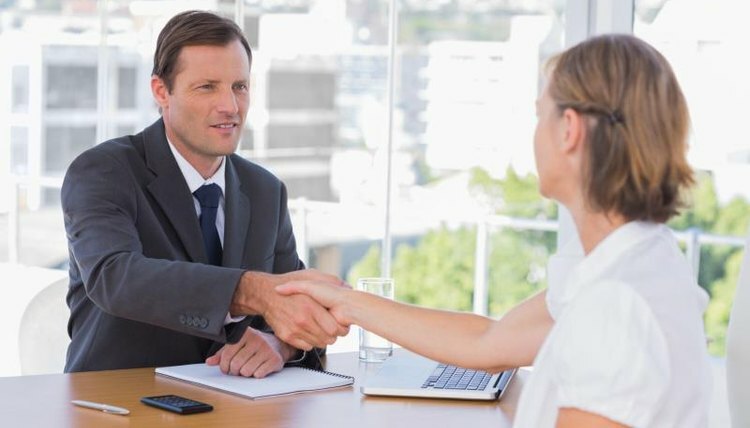 During the pre-qualification process, a loan officer asks you a few questions, then hands you a "pre-qual" letter. The pre-approval process is much more thorough. 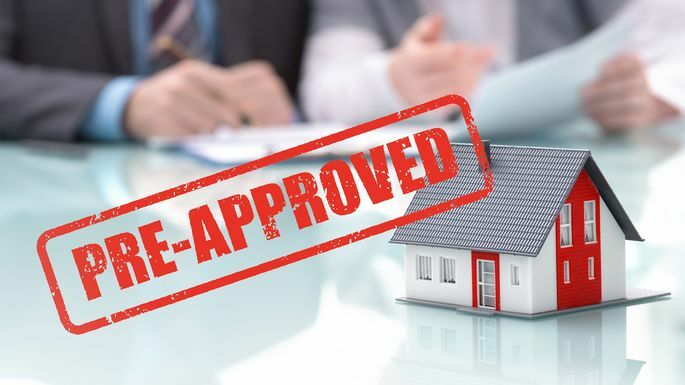 During the pre-approval process, the mortgage company does virtually all the work associated with obtaining full-approval. Since there is no property yet identified to purchase, however, an appraisal and title search aren't conducted. When you're pre-approved, you have much more negotiating clout with the seller. The seller knows you can close the transaction because a lender has carefully reviewed your income, assets, credit and other relevant information. In some cases (multiple offers, for example), being pre-approved can make the difference between buying and not buying a home. Also, you can save thousands of dollars as a result of being in a better negotiating situation. Most good Realtors® will not show you homes until you are pre-approved. They don't want to waste your, their, or the seller's time. Many mortgage companies will help you become pre-approved at little or no cost. They'll usually need to check your credit and verify your income and assets. 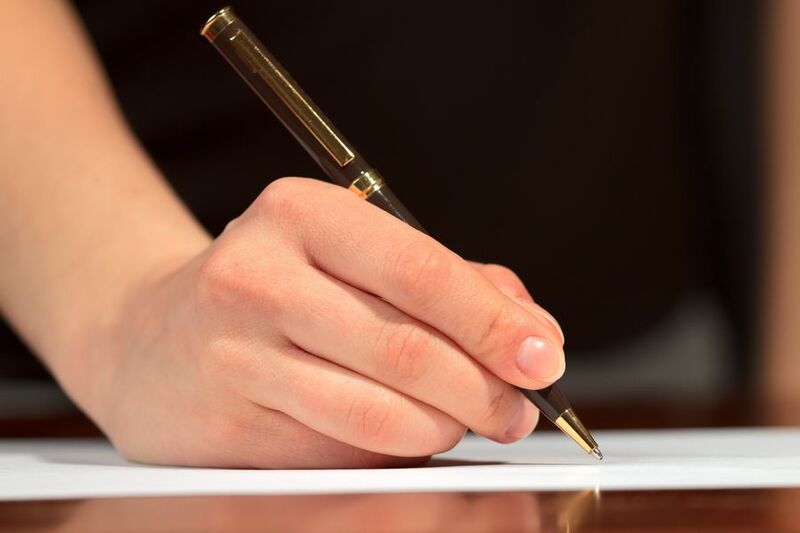 If an agent tries to make you sign a written document that is contrary to their verbal commitments, don't do it! For example, if the agent says the washer will come with the home, but the contract says it will not--the written contract will override the verbal contract. In fact, written contracts almost always override verbal contracts. When buying or selling real estate, abide by this maxim: Get it in writing! Choosing a lender because they have the lowest rate. Not getting a written good-faith estimate. While rate is important, you have to consider the overall cost of your loan. Pay close attention to the APR, loan fees, discount and origination points. Some lenders include discount and origination points in their quoted points. Other lenders may only quote discount points, when in fact there is an additional origination point (or fraction of a point). This difference in the way points are sometime quoted is important to you. One lender will quote all points, while another lender may disclose an extra point, or fraction thereof, at a later time--an unwelcome surprise. Within 3 working days after receipt of your completed loan application, your mortgage company is required to provide you with a written good-faith estimate of closing costs. You may want to consider requesting a GFE from a few lenders before submitting your application. With a few GFEs to compare, you can get a feel for which lenders are more thorough, and you can educate yourself regarding the costs associated with your transaction. The GFE with the highest costs may not indicate that a particular lender is more expensive than another--in fact, they may be more diligent in itemizing all fees. The cost of the mortgage, however, shouldn't be your only criteria. There is no substitute for asking family and friends for referrals and for interviewing prospective mortgage companies. You must also feel comfortable that the loan officer you are dealing with is committed to your best interests and will deliver what they promise. Choosing a lender because they are recommended by your Realtor®. Your Realtor is not a financial expert. He or she may not know which loan is best for you. Your Realtor® gets a commission only when your transaction closes. As a result, the Realtor® may refer you to a lender who will close your loan, but who may not have the best rates or fees. Also, many Realtors® refer you to one of their friends in the loan business--who also may not have the best rates or fees. Although most Realtors® are professional and concerned about your best interests, you should do your own homework. We recommend shopping for a loan with at least three mortgage companies before you make a decision. There are countless stories of consumers who ended up paying higher rates, or got a loan that wasn't right for them, because they blindly followed their Realtor's® advice. Not getting a rate lock in writing. When a mortgage company tells you they have locked your rate, get a written statement detailing the interest rate, the length of the rate lock, and other particulars about the program. Using a dual agent (an agent who represents the buyer and seller in the same transaction). Buyers and sellers have opposing interests. Sellers want to receive the highest price; buyers want to pay the lowest price. 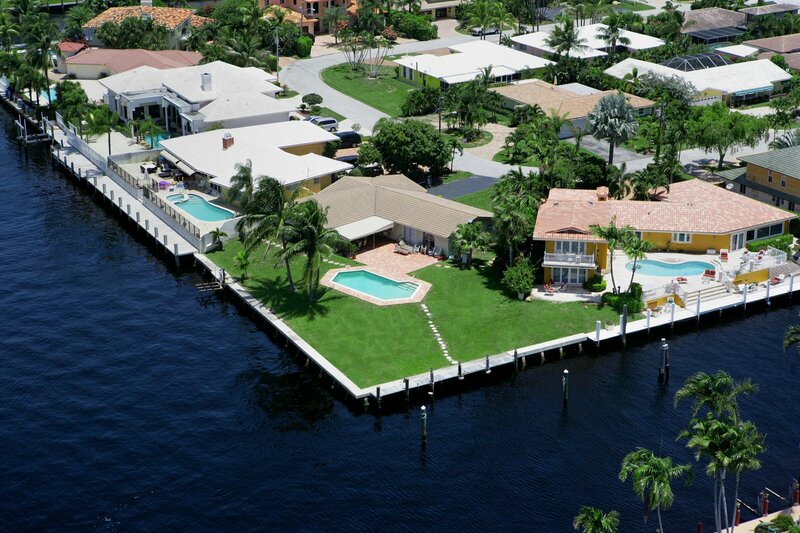 In most situations, dual agents cannot be fair to both buyer and seller. Since the seller usually pays the commission, the dual agent may negotiate harder for the seller than for the buyer. If you are a buyer, it is usually better to have your own agent represent you. The only time you should consider using a dual agent, is when you can get a price break (usually resulting from the dual agent lowering their commission). In that case, proceed cautiously and do your homework! Buying a home without professional inspections. Taking the seller's word that repairs have been made. Unless you're buying a new home with warranties on most equipment, it is highly recommended that you get property, roof and termite inspections. These reports will give you a better picture of what you're buying. Inspection reports are great negotiating tools when it comes to asking the seller to make repairs. If a professional home inspector states that certain repairs need to be made, the seller is more likely to agree to make them. If the seller agrees to make repairs, have your inspector verify the completed work prior to close of escrow. Do not assume that everything will be done as promised. Not shopping for home insurance until you are ready to close. Start shopping for insurance as soon as you have an accepted offer. Many buyers wait until the last minute to get insurance and find they have no time left to shop around. Signing documents without reading them. Do not sign documents in a hurry. As soon as possible, review the documents you'll be signing at close of escrow--including a copy of all loan documents. This way, you can review them and get your questions answered in a timely manner. Do not expect to read all the documents during the closing. There is rarely enough time to do that. Making moving plans that don't work. You expect to move out of your current residence on Friday and into your new residence over the weekend. Also on Friday, your lease terminates and the movers are scheduled to appear. Friday morning arrives: bags packed, boxes stacked, children under arm and the dog on a leash; you're sitting on your front door stoop awaiting the arrival of the movers. Your phone rings. Your loan closing is delayed until the following Tuesday. The new tenants turn into your driveway with a weighted-down U-Haul and the movers pull up across the street. You ask yourself, "Where's the nearest Motel 6 and storage facility? 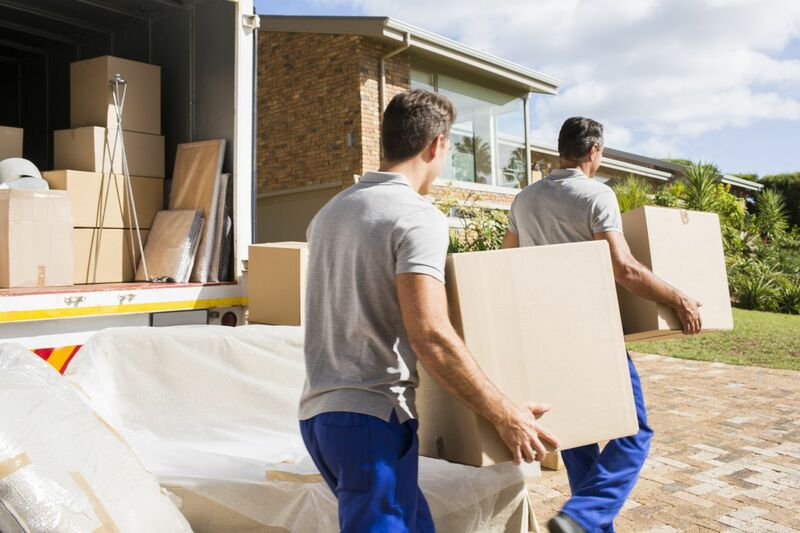 How much will the movers charge for an extra trip? Can we afford it?" How can you avoid such a disaster? Cancel your lease and ask the movers to show up five to seven days after you anticipate closing your transaction. Consider the extra expense an insurance policy. You're buying peace of mind--and protecting yourself from expensive delays. Pre-approval and pre-qualification are two different things. During the pre-qualification process, a loan officer asks you a few questions, then hands you a "pre-qual" letter. The pre-approval process is much more thorough. During the pre-approval process, the mortgage company does virtually all the work associated with obtaining full-approval. Since there is no property yet identified to purchase, however, an appraisal and title search aren't conducted. When you're pre-approved, you have much more negotiating clout with the seller. The seller knows you can close the transaction because a lender has carefully reviewed your income, assets, credit and other relevant information. In some cases (multiple offers, for example), being pre-approved can make the difference between buying and not buying a home. Also, you can save thousands of dollars as a result of being in a better negotiating situation.Most good Realtors® will not show you homes until you are pre-approved. They don't want to waste your, their, or the seller's time. Many mortgage companies will help you become pre-approved at little or no cost. They'll usually need to check your credit and verify your income and assets. Making verbal (oral) agreements! If an agent tries to make you sign a written document that is contrary to their verbal commitments, don't do it! For example, if the agent says the washer will come with the home, but the contract says it will not--the written contract will override the verbal contract. In fact, written contracts almost always override verbal contracts. When buying or selling real estate, abide by this maxim: Get it in writing! Choosing a lender because they have the lowest rate. Not getting a written good-faith estimate. While rate is important, you have to consider the overall cost of your loan. Pay close attention to the APR, loan fees, discount and origination points. 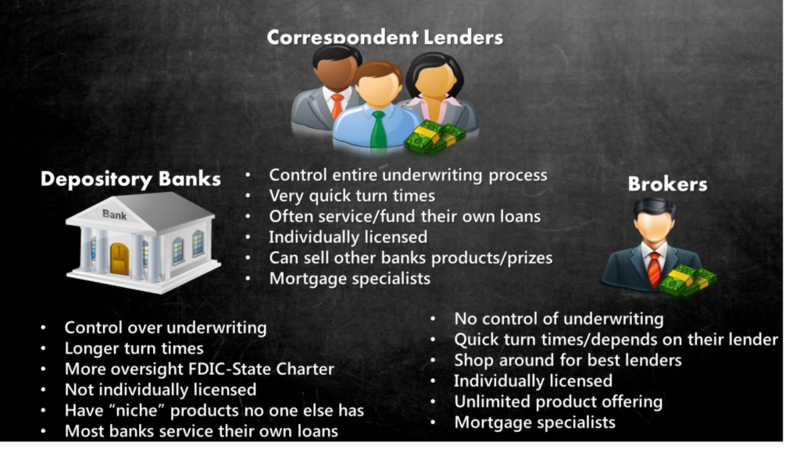 Some lenders include discount and origination points in their quoted points. Other lenders may only quote discount points, when in fact there is an additional origination point (or fraction of a point). This difference in the way points are sometime quoted is important to you. One lender will quote all points, while another lender may disclose an extra point, or fraction thereof, at a later time--an unwelcome surprise. Within 3 working days after receipt of your completed loan application, your mortgage company is required to provide you with a written good-faith estimate of closing costs. You may want to consider requesting a GFE from a few lenders before submitting your application. With a few GFEs to compare, you can get a feel for which lenders are more thorough, and you can educate yourself regarding the costs associated with your transaction. The GFE with the highest costs may not indicate that a particular lender is more expensive than another--in fact, they may be more diligent in itemizing all fees. The cost of the mortgage, however, shouldn't be your only criteria. There is no substitute for asking family and friends for referrals and for interviewing prospective mortgage companies. 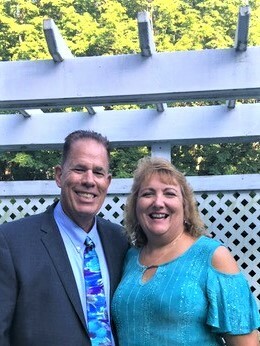 You must also feel comfortable that the loan officer you are dealing with is committed to your best interests and will deliver what they promise. Not shopping for home insurance until you are ready to close. Start shopping for insurance as soon as you have an accepted offer. Many buyers wait until the last minute to get insurance and find they have no time left to shop around. Signing documents without reading them. Do not sign documents in a hurry. As soon as possible, review the documents you'll be signing at close of escrow--including a copy of all loan documents. This way, you can review them and get your questions answered in a timely manner. Do not expect to read all the documents during the closing. There is rarely enough time to do that. Making moving plans that don't work.You expect to move out of your current residence on Friday and into your new residence over the weekend. Also on Friday, your lease terminates and the movers are scheduled to appear. Friday morning arrives: bags packed, boxes stacked, children under arm and the dog on a leash; you're sitting on your front door stoop awaiting the arrival of the movers.Your phone rings. Your loan closing is delayed until the following Tuesday. The new tenants turn into your driveway with a weighted-down U-Haul and the movers pull up across the street. You ask yourself, "Where's the nearest Motel 6 and storage facility? How much will the movers charge for an extra trip? Can we afford it?" How can you avoid such a disaster? Cancel your lease and ask the movers to show up five to seven days after you anticipate closing your transaction. Consider the extra expense an insurance policy. You're buying peace of mind--and protecting yourself from expensive delays. Not checking to see if your credit line has a pre-payment penalty clause. If you are getting a "NO FEE" credit line, chances are it has a pre-payment penalty clause. This can be very important (and expensive) if you are planning to sell or refinance your home in the next three to five years. Getting too large a credit line. When you get too large a credit line, you can be turned down for other loans. Some lenders calculate your credit line payments based upon the available credit, even when your credit line has a zero balance. Having a large credit line indicates a large potential payment, which makes it difficult to qualify for loans. Not understanding the difference between an equity loan and a credit line. An equity loan is closed--i.e., you get all your money up front, then make payments on that fixed loan amount until the loan is paid. An equity credit line is open--i.e., you can get an initial advance against the line, then reuse the line as often as you want during the period the line is open. 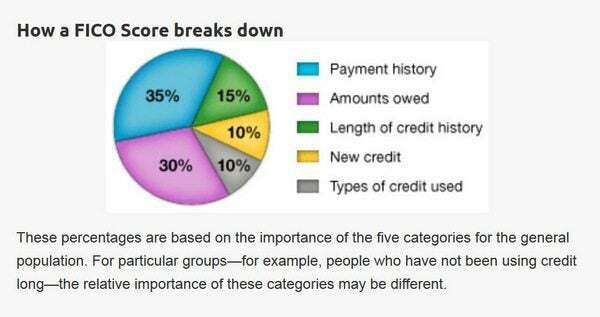 Most credit lines are accessed through a checkbook or a credit card. Credit line payments are based upon the outstanding balance. Use an equity loan when you need all the money up front--e.g. home improvements or debt consolidation. Use a credit line if you have an ongoing need for money or need the money for a future event--e.g., you need to pay for your child's college tuition in three years. Not checking the lifecap on your equity line. Many credit lines have lifecaps of 18%. Be prepared to make high interest payments if rates move upwards. Getting a credit line from your local bank without shopping around. Many consumers get their credit line from the bank with which they have their checking account. Shop around before deciding to use your bank. Not getting a good-faith estimate of closing costs. 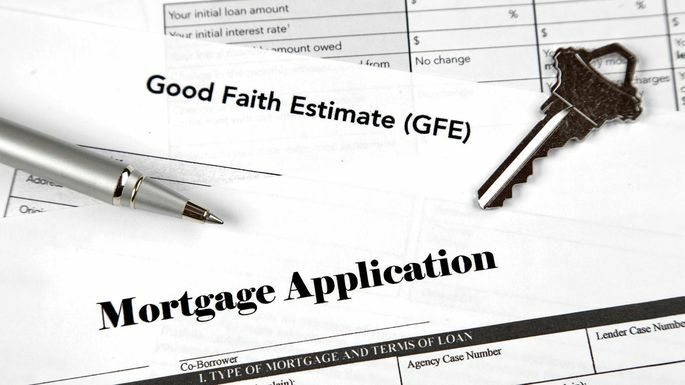 Within three working days after receipt of your completed loan application, your mortgage company is required to provide you with a written good-faith estimate of closing costs. Assuming that the interest on your home credit line/loan is tax deductible. In some instances, the interest on your home credit line is NOT tax deductible. It is beyond the scope of this document to provide tax advice or quote from the IRS code. Contact an accountant or CPA to determine your particular situation. Assuming a home equity line is always cheaper than a car loan or a credit card. A credit card at 6.9% can be cheaper than a credit line at 12%, even after the tax deduction. To compare rates, compare the effective rate of your credit line with the rate on a credit card or auto loan. 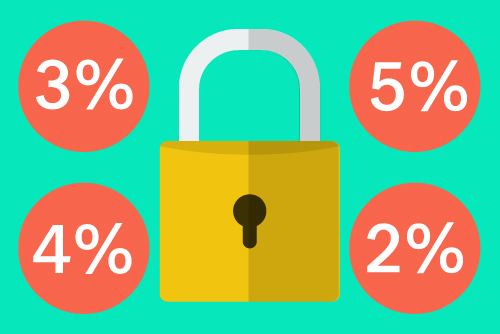 If your credit card is higher than 8.4%, the credit line is cheaper. Besides the interest rate, you may also want to compare monthly payments and other terms of the loan. Getting a home equity credit line if you plan to refinance your first mortgage in the near future. Many mortgage companies look at the combined loan amounts (i.e., the first loan plus the equity line/loan) even though they are refinancing only the first mortgage. If you plan on refinancing your first loan, check with your mortgage company to determine if getting a second line/loan will cause your refinance to be turned down. Getting a home equity credit line to pay off your credit cards if your spending is out of control! When you pay off your credit cards with your credit line, don't put your home on the line by charging large amounts on your credit cards again! If you can't manage the plastic, get rid of it!